Located north of downtown Palm Springs, Racquet Club West real estate constitutes some of the most affordable and sought after properties in this iconic desert city. Interested homebuyers will find that property types range from desirable Alexander homes, to desert-inspired estates, to recently constructed condominiums. A short drive from this community will take you to the heart of the city, where you will be immersed in all of the exciting venues and amenities this region has to offer. No matter what your budget or interests, Racquet Club West real estate is the place to be in the breathtaking Sonoran Desert. 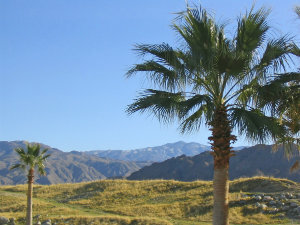 Learn more about this Palm Springs community, or begin your search for Racquet Club West homes for sale directly below. To discover more Racquet Club West real estate, register today. You'll be able to access an unlimited number of Palm Springs real estate listings. The Palm Springs lifestyle is ideal for both full-time living or for those who are looking to invest in a vacation property. When exploring your Racquet Club West real estate options, interested home buyers have the choice between perfect turnkey properties, newly renovated mid-century bungalows, and luxury desert estates. On the high end of the market, Racquet Club West real estate boasts some of the finest single-family homes in contemporary design. Home buyers can look forward to their own little oasis with sprawling patios, in-ground pools, and privacy-providing palm trees. Some of these homes may boast covered outdoor spaces with pool tables and bars. Open floor plans, vaulted ceilings, cool tile floors, and crisp interiors contrast the hot desert surroundings. Bathrooms and kitchens are well-appointed with modern luxury fixtures. Master bedrooms are large enough for California-King size beds, and some yards even include a fireplace for cooler evenings. Some properties are ultra-chic, while others encompass a Spanish flare and warm sandy hues. This neighborhood is ideal for a first-time buyer looking for a smaller home or for a couple who would like to invest in a get-away-property. You will find many condominiums that date back to the '60s and '70s and have undergone extensive upgrades. Modern building styles meets contemporary conveniences in these units. Interested home buyers will experience amenities such as swimming pools, private lounge areas, and tennis courts. If you aren't looking for a vacation property, these residential condos are considered to be quite affordable by most buyers. Moments away from this community, residents have access to conveniences such as big box stores, quick eats, and shopping. Palm Canyon Drive, one of the most popular places in Palm Springs, is only a 3-minute drive away from Racquet Club West homes. Residents have access to an excellent range of culture and cuisine options. Copley's, one of the most sought-after restaurants in Palm Springs is minutes away. It was once a celebrity estate, but now provides the city with upscale American cuisine infused with European and tropical flavor profiles. Ten minutes down the road, is one of the best golf courses in town. Escena Golf Club blends championship golf with classic Palm Springs scenery. Located next to the San Jacinto Mountains, the views are incredible. This course is ranked number six in all of California. Founded in 1938, The Palm Springs Art Museum is an amazing institution dedicated to regional art, performing arts, and natural science. One of the permanent artists featured here is the talented Julius Shulman. He showcases his collection of photographs of Palm Spring's iconic mid-century modern architecture. Racquet Club West homes for sale are conveniently located near schools, which makes this an ideal neighborhood for families. Vista Del Monte Elementary and Cahuilla Elementary are both within walking distance. Does living in the beautiful neighborhood of Racquet Club West interest you? If so, be sure to connect with me, Geoffrey Moore. I can help you find the best option to suit your needs on the market.